Are you looking for quality air conditioning service on Kauai? We offer comprehensive AC installation, maintenance and repair services for homeowners island wide from Haena to Kekaha. No matter what kind of equipment you have, we’ve worked on it before. From decades-old systems to the latest in air conditioning technologies, we have the expertise to service it correctly. While you worry about feeding hungry customers, let Island Wide HVAC make sure that your cooling and ventilation systems are running smoothly. 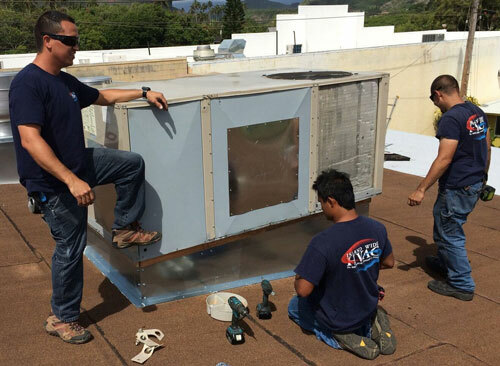 Island Wide HVAC is the leading name in Kauai commercial and residential HVAC and restaurant kitchen services. From repairs and maintenance agreements to installations and system design, we consistently deliver quality, reliable service you can trust. Why Choose Island Wide HVAC? No job is too big or too small for us. From large commercial jobs to single room residential installs, we’ve done it all. The quality of workmanship that our team puts out is second to none. Our customers get exactly what they want. Get a call back. Get a quote quickly. We return every phone call and email.